Google just announced that they have rebranded their Google Apps for Work suite to be called G Suite. Google’s enterprise suite of email and productivity solutions has gone through some name changes before. It started effectively as Gmail and then when it was for commercial use, it became Google Apps. And then, more recently it became Google Apps for Work. Now, it is G Suite. All of these names changes are continuing to point to Google’s ambitions. As a head-to-head competitor to Microsoft Office 365, G Suite is continuing to expand into a number of different areas. Beyond hosted email and a suite of productivity applications such as docs, sheets, and presentation software. Google added video conferencing with Hangouts as well. And, storage is a major part of the plan too. Expect to see Google continuing to compete directly with Microsoft and add more capabilities. Curiously, one area that Google hasn’t shown any interest in is directory services. Google Apps Directory is largely a contact database and not a core, authoritative identity provider. Google has created APIs and the Google Apps Directory Sync solution to connect to legacy directory services solutions such as Microsoft Active Directory and OpenLDAP. The challenge with this approach is that IT admins need to have a local, on-prem directory service while they place their productivity platform in the cloud. There is an alternative for IT admins. Directory-as-a-Service® tightly integrates with G Suite to manage user access. The cloud directory service can provision, deprovision, and modify user access on the Google platform centrally from a web-based console. Further, G Suite credentials can be leveraged on systems, AWS cloud servers, cloud and on-prem application, and for WiFi authentication. In short, Directory-as-a-Service is the perfect companion to G Suite and can serve as the core, cloud identity provider for an organization. 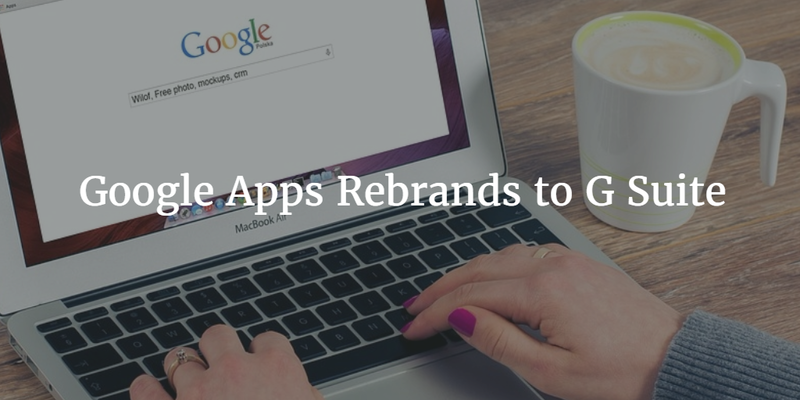 If you would like to learn more about what the Google Apps rebrand means to you, drop us a note at any time. 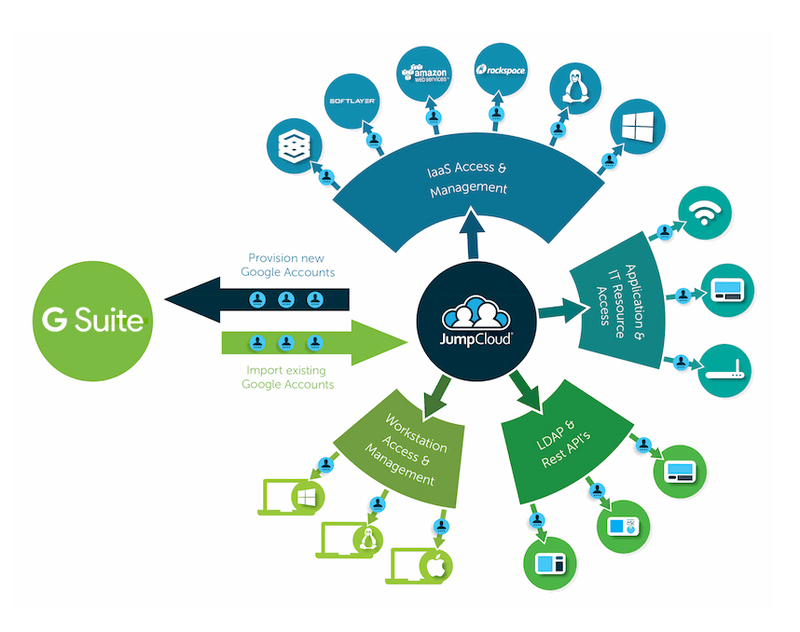 Or, go ahead and dig into how JumpCloud’s Directory-as-a-Service is a complement to G Suite.